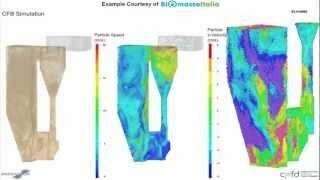 Discover all the unique advantages Barracuda offers in modeling particle flows. 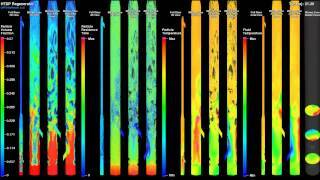 Barracuda is setting the standard for particle flow modeling across a wide range of industries in the world's most critical markets. We offer a proprietary engineering software package, training and support to address your particular needs. The following links will give you a deeper look at the science and services behind Barracuda and CPFD Software. 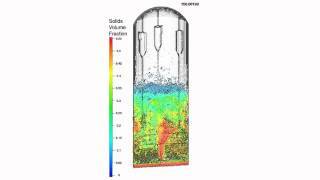 Barracuda software licensing arrangments and CPFD onboarding and technical support are priced to give you cost-effecive and efficient solutions to your fluidized unit challenges. Please contact us to learn more about our customized programs and pricing. 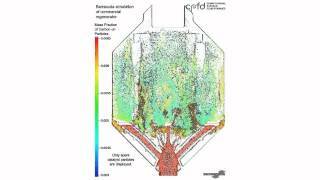 In this webinar, CPFD Software outlines key processes simulated by Barracuda Virtual Reactor, enabling operators to get a virtual “look inside” their FCCU. The webinar discusses examples of how Barracuda VR® is used to troubleshoot issues such as afterburn, emissions and erosion in regenerators, erosion and performance in riser termination devices, and feed distribution, back-mixing, and selectivity in risers. 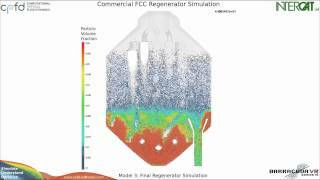 The seminar looks at how Virtual Reactor™ simulation is used by FCCU operators in support of process engineering and design decisions. To learn more about Barracuda VR FCC applications, visit our FCC Resources page. ©2019 CPFD Software LLC. All rights reserved. Site Designed and Developed by Synergema.